Orchard Scotts is a luxurious condominium / service apartments located at Anthony Road, a residential development of sculptural abstracts that resemble three basic elements: an artistï¿½s palette, three artistic objects and the splashing of paint. The artistï¿½s palette manifests itself in the form of a covered link-way while the three artistic objects are expressed by the three towers. The undulating grounds, boulders, broken walls and shapes of the pool resemble splashes of paint. Fully wrapped around by glass, the pure, geometrical forms of Orchard Scotts stand out significantly like contemporary masterpieces of art, ready to enrich your life. As Singaporeï¿½s most famous landmark, Orchard Road is a fitting symbol of this vibrant city. Stretching 2 kilometres, this premier shopping street is now undergoing a makeover to be a great, hip and happening street on par with the best shopping districts in the world. The government has released prime land sites to encourage landmark developments that will expand the diverse range of shopping outlets, underground pedestrian links, overhead walkways, as well as eye-catching and dynamic pop-outbuilding facades all along both orchard and Scotts Roads. Bounded by Anthony road, Peck Hay Road and Clemenceau Avenue North, Orchard Scotts stands at the doorstep of the Newton MRT Station. With the world-class shopping and entertainment attractions of Orchard Road just a stoneï¿½s throw away, you can walk to your favourite designer stores at Paragon and Ngee Ann City. Or wine, dine and dance the night away just minutes from your home. In addition, the exclusive American and Tanglin Clubs, five star hotels such as the Grand Hyatt, the Sheraton Towers, the Goodwood Park, Marriott Hotel and some of Singaporeï¿½s top school are within walking distance. The ever popular Newton Circus Food Centre is also a mere 5-minute stroll away. Great place for expats with families. Very good pool and play area for the kids and adults can watch from nearby pavilion, enjoying the wind and sunset. 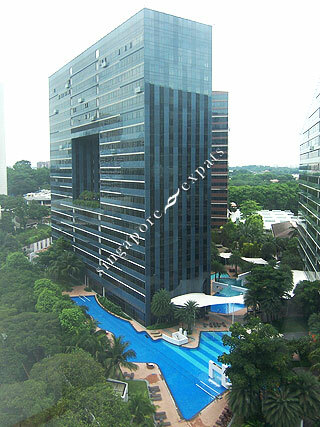 Luxury and spacious condominium next to Newton and walking distance to Orchard Road and Scotts Road. A rare find in Orchard vicinity with a large open compound. Centrally located. Next to MRT station and 10 mins walk to Orchard Road.